In the past, news media competition led to various production routines dictated by the deadlines of print distribution. It was a production line that starts from gathering of information for the news story, to transcribing or typing, to editing, designing, scheduling, printing and down to distributing. This routine designed to deliver news information at fixed times was highly restricted by physical limitations. It was a chain where each step is dependent on shifts and deadlines at the previous step. Today, digital publishing has disrupted this production line and provides news companies a more efficient way to deliver news to their audiences. With online newspapers, news distribution became instant and readership can go exponential. There’s also no more waiting for the morning paper. 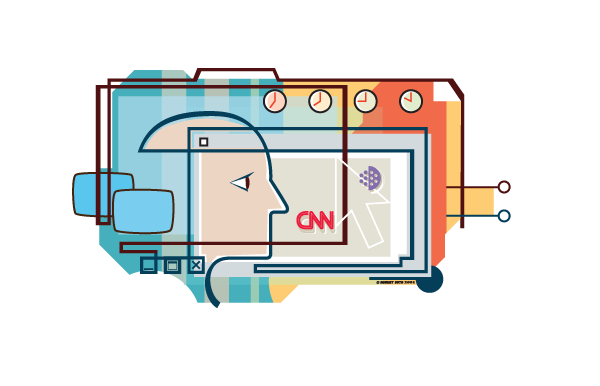 News organisations adopted a more advanced news cycle and found a way to fulfill audience demands and digitisation requirements. So, how do news publishers compete in this new type of market or at least defend their operations from competitors? The following four questions from Sachin Kamdar answers how today’s digital newspapers can amplify their content while creating a more customized news cycle. 1. When are readers on my site? When do you typically see the most traffic? When are your loyal readers looking to you for content? Do your weekday numbers differ from the weekend? Identifying your busiest site times is a great place to start in developing meaningful digital deadlines. 2. What are they reading? Does my audience read different types of stories at different times? Keeping track of which topics are popular throughout the day, week, and month will help you to make more targeted decisions about when, and how, to publish your content. A short post about local traffic, for example, might do well just before the weekday commute; but, your readers might be looking for a “listicle” about travel on a leisurely Sunday afternoon. Which topics and article formats perform best on your site at any given time? Examining these trends in your data will help you to offer exactly what your readers are looking for throughout the news cycle. 3. How are they accessing content? What kind of devices are readers using? Learning what device readers are using to access your posts can tell you what they’re doing as they read your site, or what they’re interested in reading about. According to recent polling data, nearly 80 percent of smartphone owners are now using their mobile device for regular news consumption. Tracking the peak times and the lull times for different devices can help you post relevant mobile content when it’s most likely to be consumed. What content is your audience reading on their mobile devices vs. desktop, and how can you time your online publishing to match these trends? 4. What role does social media play? How are your readers using social media platforms, and what are the general trends in terms of timing? One third of Americans report getting their news content from Facebook, and other social media outlets are becoming increasingly popular as well. Close to 40 percent of referrals to Parse.ly’s network of nearly 400 digital publishers are from social media. So, online publishers are rightfully interested in figuring out the optimal times for social media sharing, and there’s plenty of data out there to get you started on understanding these general trends. Which social media platforms generate the most referrals to your content, and when? Examining the trends specific to your audience is a critical step to ensuring that your deadlines complement readers’ social media usage. Read full article on Computerworld. 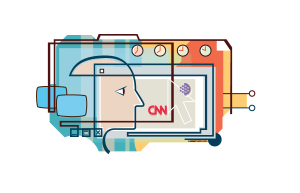 Realview helps news organizations and help them make informed decisions about why and how to utilize today’s digital platforms. Keep reading to learn how Realview creates value and join our multitude of clients who turn the page from their traditional format and evolve into an online or mobile newspaper to stand out!